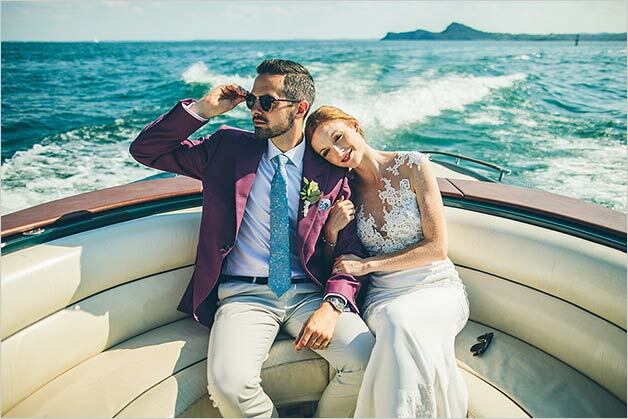 Home » Just Married » Just Married June 2018 - Great Summer Wedding Events all Across Italy! e are back… while we are on the road to our July weddings and finalise the first part of our Summer season weddings we are happy to share the stories of our Just Married couples for June 2018. 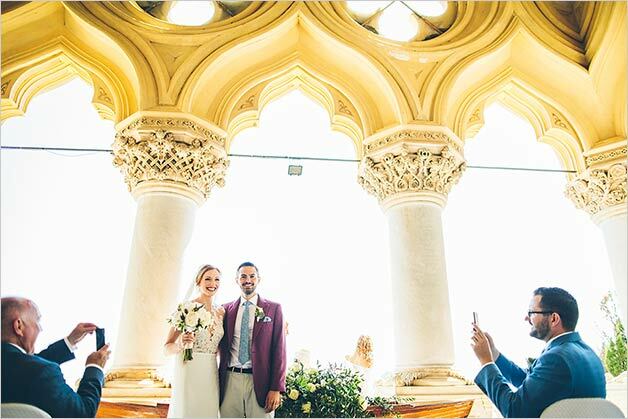 Our Team followed many weddings last June all over Italy! 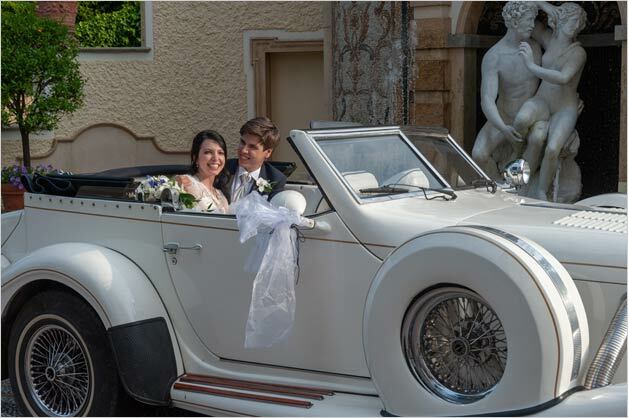 Be ready to enjoy photos an details for our just married couples on Lake Orta, Lake Maggiore, Lake Garda, Lake Como, Amalfi Coast and Piemonte Countryside. We had also special Ethnic weddings: an Indian wedding, an Indian/Persian wedding and a Jewish wedding too. Do not miss the stories below! We open the month of the very first day of June! 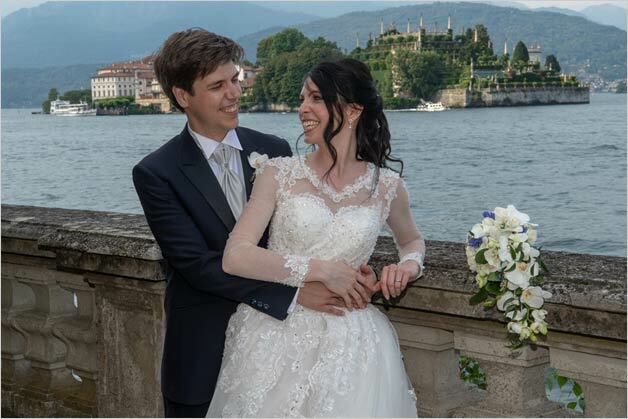 On June 1st Natalie and James got married on Lake Orta. Valentina followed the event for us. 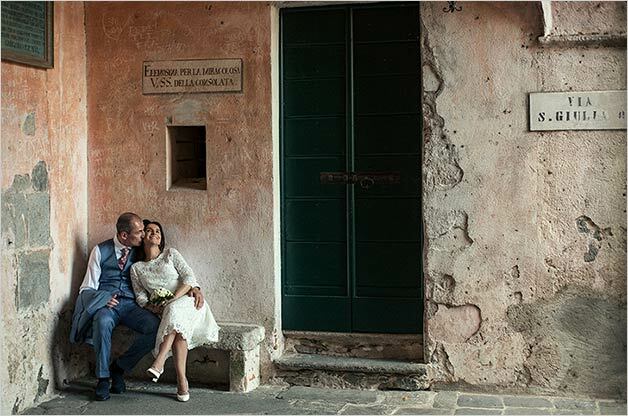 A wonderful sweet couple coming from UK who planned a romantic civil ceremony at Villa Bossi. As per tradition bride arrived by boat while groom and guests were waiting for her. She was so beautiful in her simple yet elegant dress and James was very smart in his shirt and vest. After the ceremony we planned a toast in Orta village main square and then a boat tour for guests and wedding photos on St. Julius Island. We planned wedding reception at Ustaria Ca dal Rat where a great pop rock band danced the night away! On June 2nd we are very pleased to post here a lovely private event planned for Tommaso by Giovanna in Sicily! 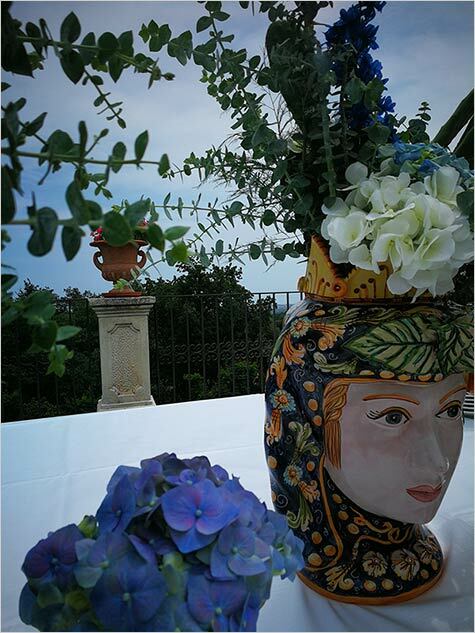 The event was planned in a private Sicialian villa close to famous Mountain and Volcano Etna! What a great scenario for a private event or wedding in Sicily! 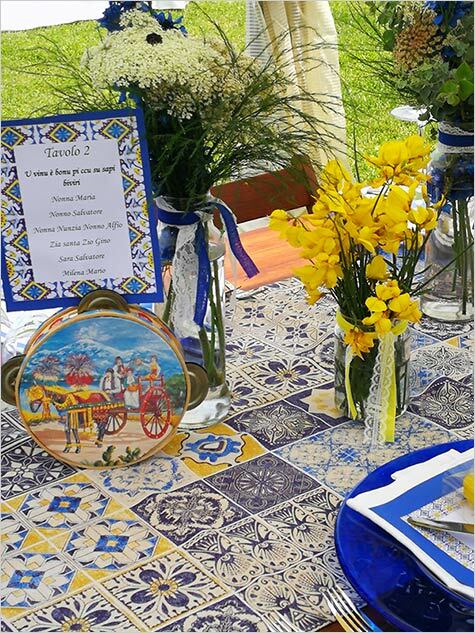 Giovanna created for this special event a country style very traditional Sicialian decor! It is simply great full of colors and amazing customs! 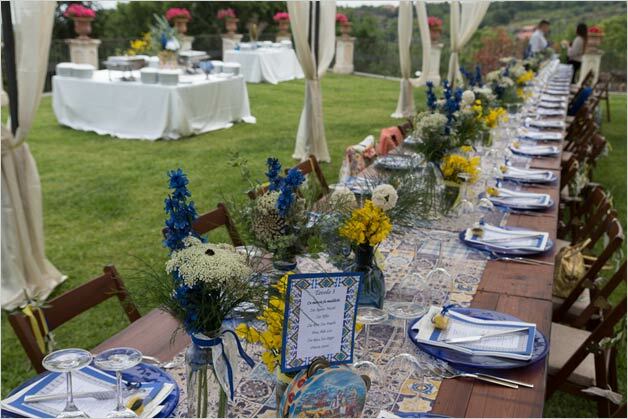 You could plan the same for a Sicilian wedding! Have a look! 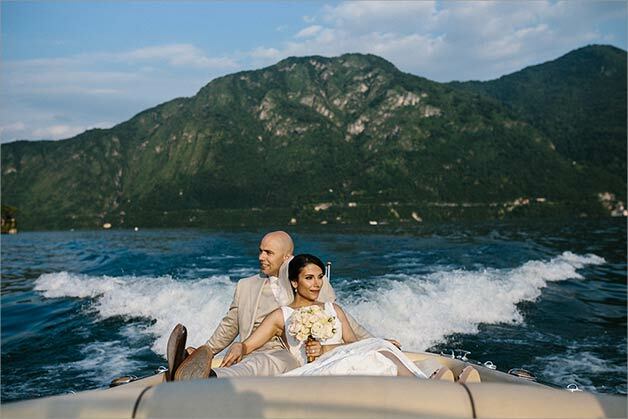 On June 15th Katiuscia followed Rachel and Peter’s wedding on Lake Garda. A romanic wedding for a group coming from UK. 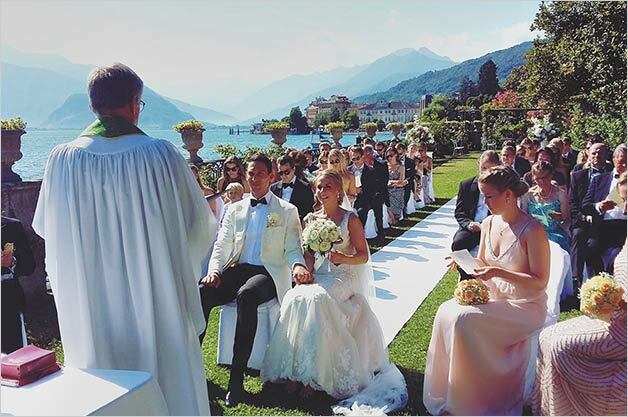 Ceremony was held in one of the most stunning venue on Lake Garda: Isola del Garda. After a lovely boat trip the group reached a restaurant close by for a fun and romantic wedding reception overlooking Lake Garda. On June 16 our team followed many weddings all over the county. Different planners and their teams followed different event. Such a hot day for weddings in Italy for sure! 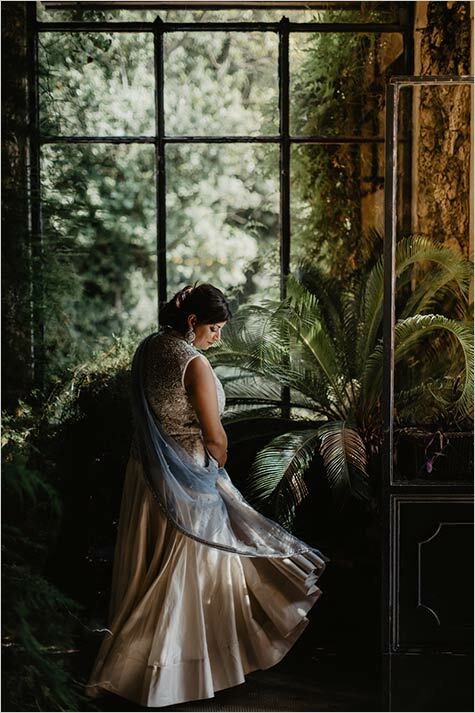 We go Southern Italy with Stefania and Vanessa who followed Anant and Serina’s wedding on Amalfi Coast in Ravello. 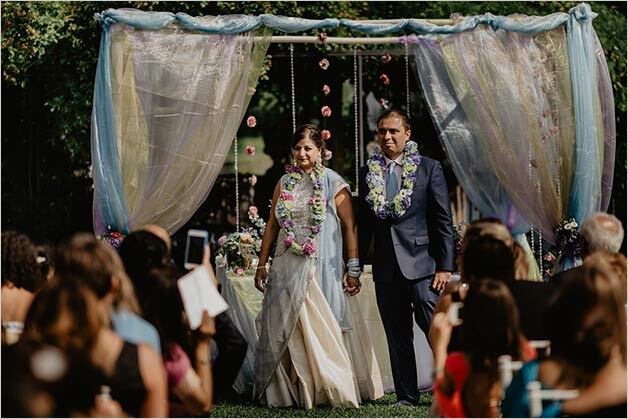 A fantastic Indian wedding on Amalfi Coast with a lovely blessing and reception to follow with a breathtaking view over Italian sea. 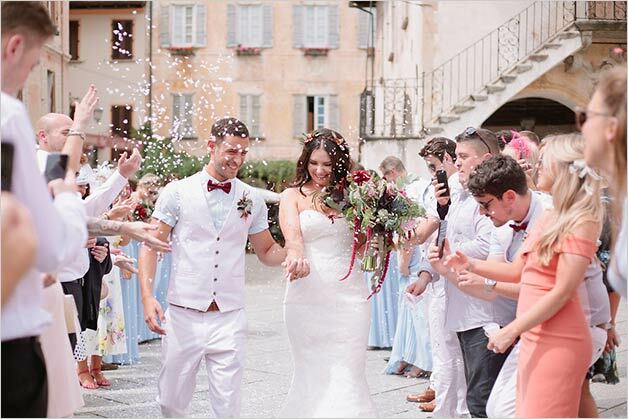 A colourful event for an ethnic wedding in Southern Italy. It is always a pleasure planning events like those! On the same day we get back to Northern Italy on Lake Como. 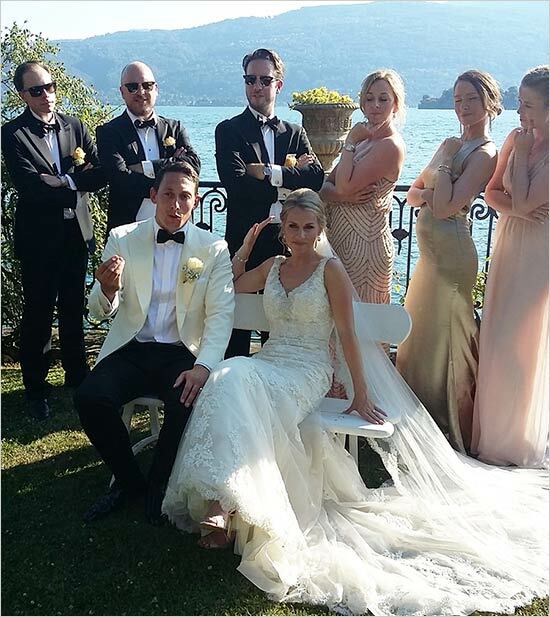 Alessandra and her Team followed Nastaran and Alain’s wedding. 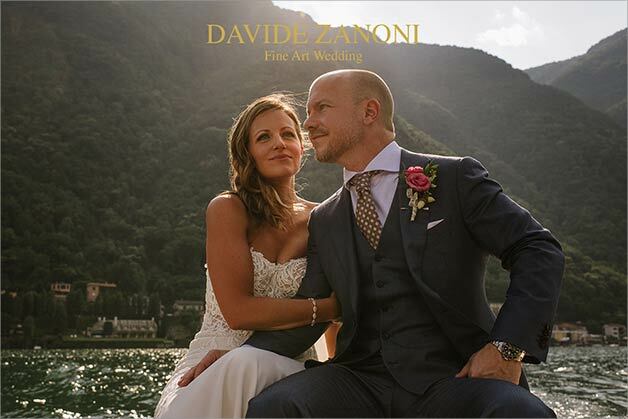 A fantastic wedding all planned at Villa del Balbianello one of the most enchanted and luxury venues on Lake Como. 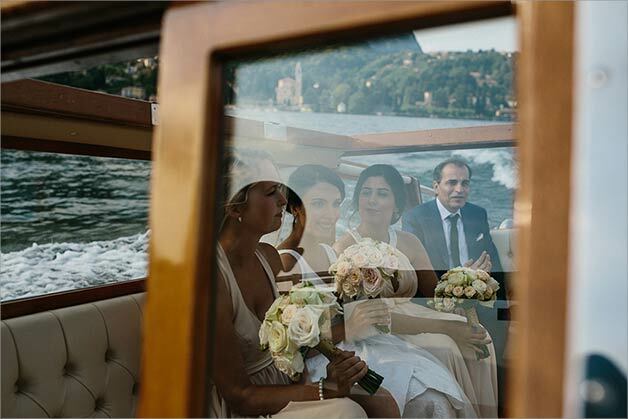 A must for a chic wedding in Lake Como. Ceremony and reception to follow was planned all at Villa del Balbianello. A romantic decor with golden details. 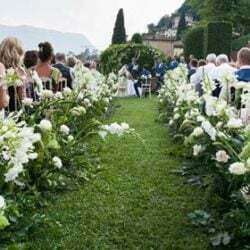 Then again on the same day La Piccola Selva floral designer followed for us Gloria and Luca’s wedding on Lake Maggiore. 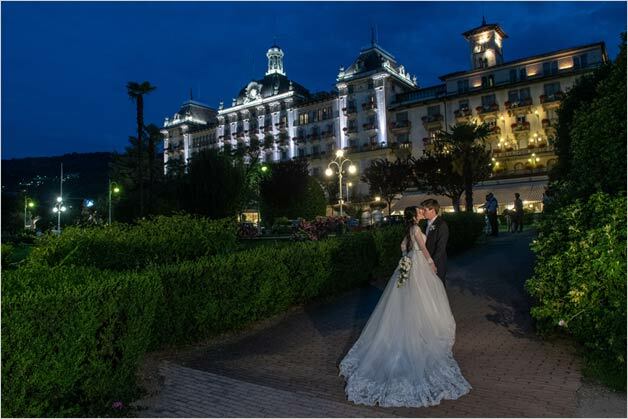 A lovely couple who chose Pallanza and Stresa for their wedding on Lake Maggiore. The planned their Roman Catholic ceremony in the church of Madonna di Campagna. 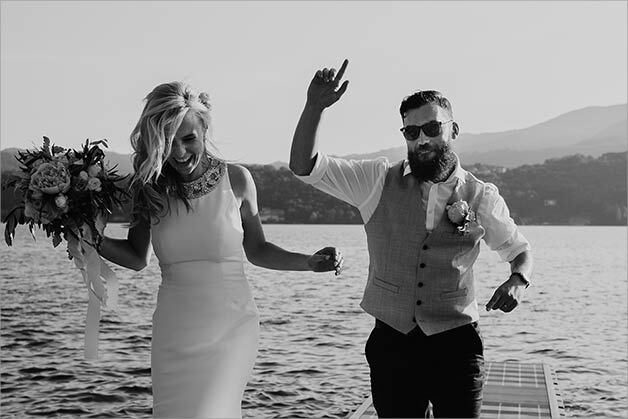 For their wedding reception they chose Grand Hotel Des Iles Borromées. Gloria and Luca they wanted a stylish decor and skilful floral designers by La Piccola Selva prepared a perfect Italian style arrangement. The day after on 17th June Alessandra and her Team followed Emily and Jeff’s wedding. 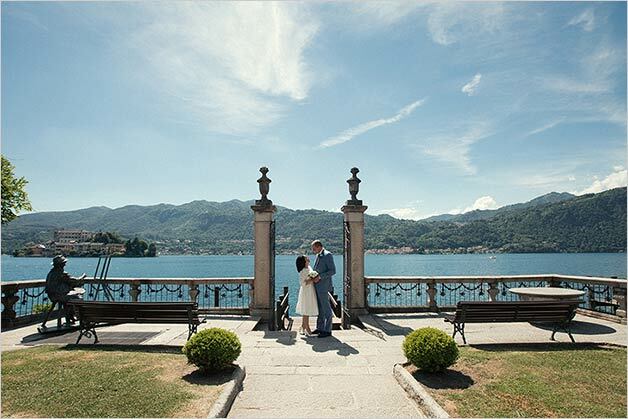 A very romantic elope all planned in a lovely Relais on Lake Como. Ceremony and a lovely celebratory meal to follow full of joy and colors. 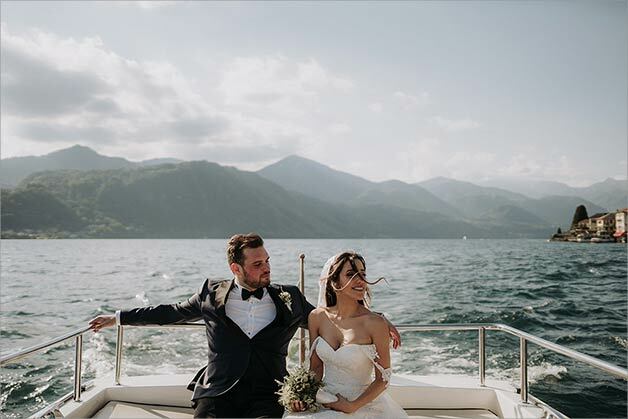 A wonderful way to celebrate a wedding on Lake Como with a romantic elope! On June 21st we go to Rome for a Laura and Moshi’s Jewish wedding in Rome. 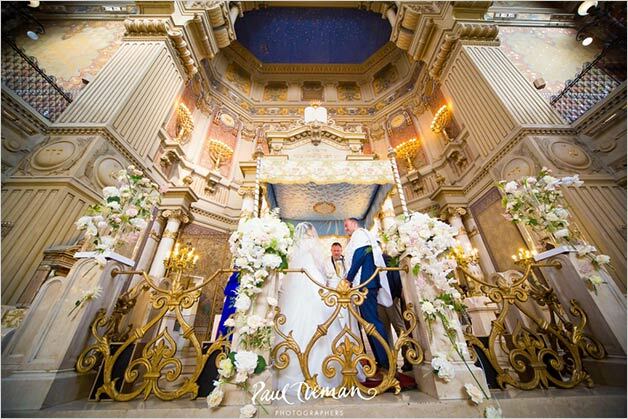 For the Jewish Orthodox ceremony bride and groom chose the Great Synagogue in Rome. Such a magic and enchanting venue in the beating heart of Jewish Getto in Rome close to Trastevere. 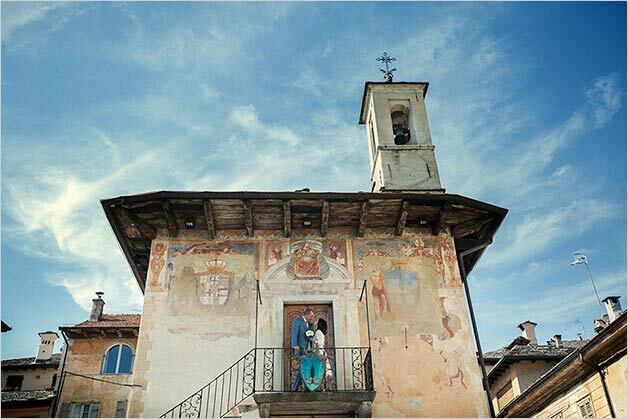 For their reception Laura and Moshi chose Villa Miani. 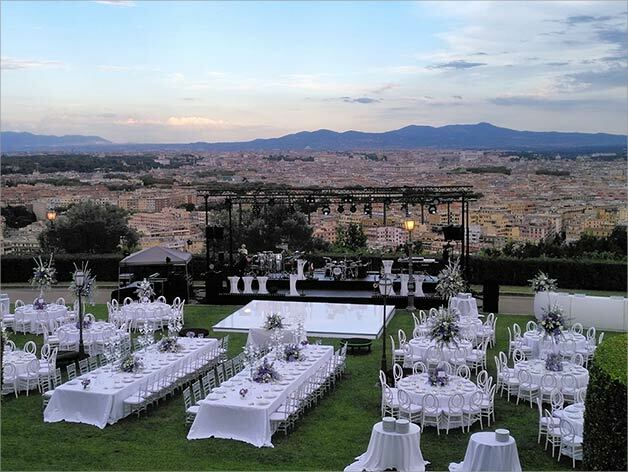 Villa Miani is just stunning and has a fantastic view over Rome skyline. 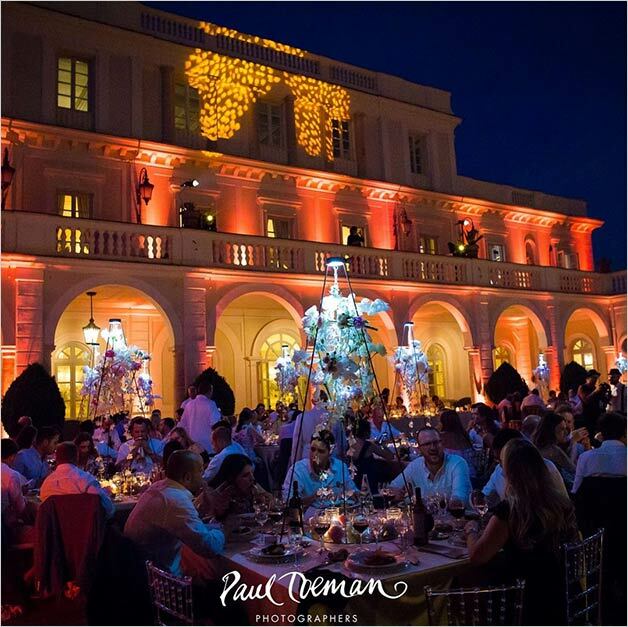 The perfect setting for a big and luxury Jewish wedding in Rome! 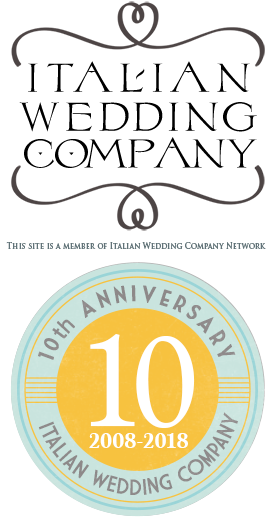 This wedding is also featured on Italian Rome Wedding and Italian Ethnic Wedding sites. On June 22nd we get back to Lake Maggiore for a unique event. Valentina and her Team followed Neera and Amir’s wedding. Neera is Indian and Amir is Persian the final result is an amazing mix of cultures and customs with a unique Indian/Persian ceremony in the ground of Villa Rusconi Clerici by Lake Maggiore shores. Reception and dances ti follow was planned at the same villa. It was a great experience for all of us working for such a colourful and different event like this. Henna parties, Mandap decor, Sofreh decor and lots of colors! We will surely tell you more about this event soon. 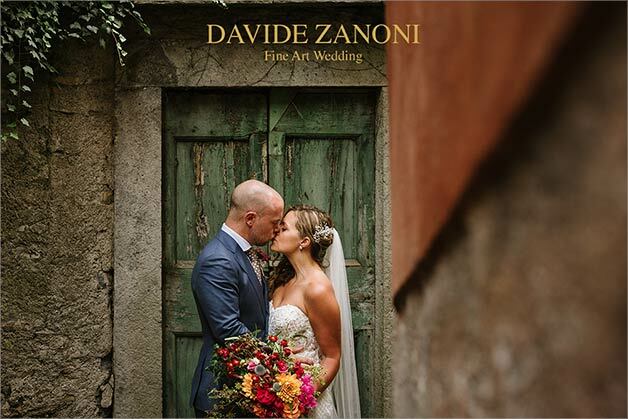 This wedding is also featured on Italian Ethnic Wedding. 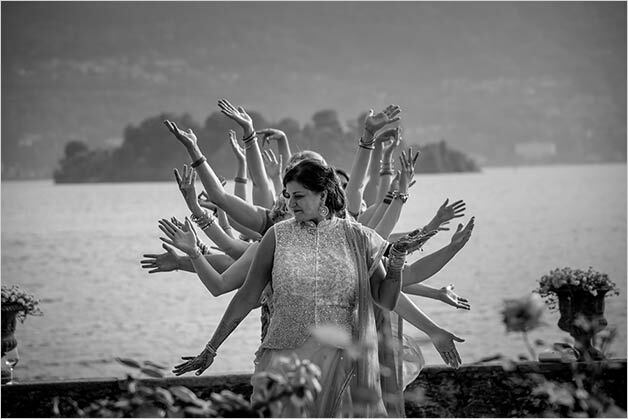 On June 23rd La Piccola Selva floral designer followed a very different event on Lake Orta: Secil and Alberto’s wedding. Secil is Turkish and Alberto is Italian coming from Turin. 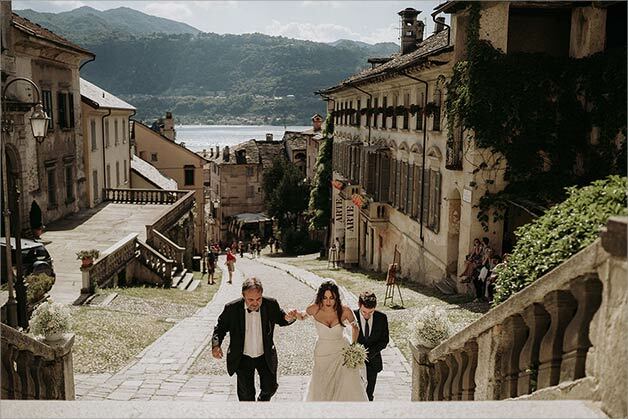 Secil and Alberto got married in Turkey before reaching Lake Orta. 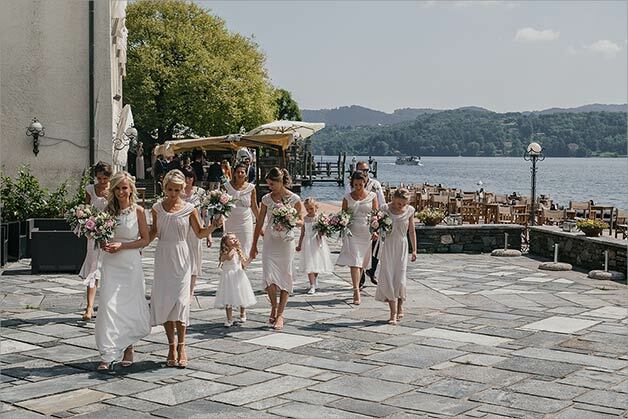 The chose a second wedding in Italy on Lake Orta… a dreamy destination wedding. 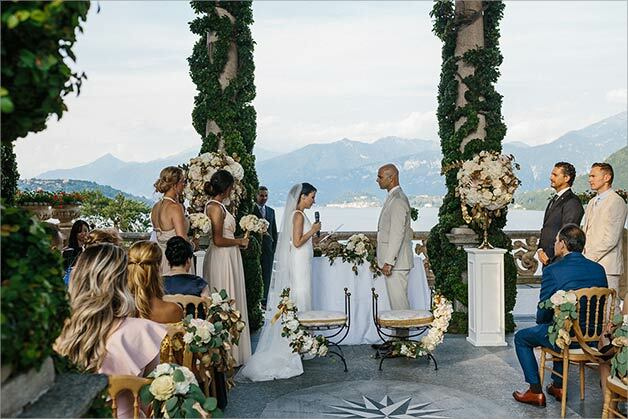 After a Roman Catholic ceremony in Maria Assunta Church, the parish church of Orta village, the party followed at Hotel San Rocco where bride and groom planned a full outdoor reception overlooking the lake and its St. Julius Island. On June 28th our big team followed two events. Stefania followed another big Jewish wedding at Villa Miani. This time bride and groom chose Villa Miani for their Jewish ceremony and reception to follow. The setting was surely grand and the decor very chic and refined. 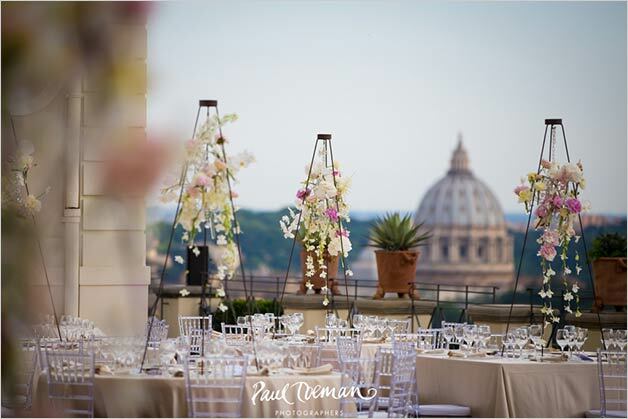 A perfect setting for a Jewish wedding in Rome! 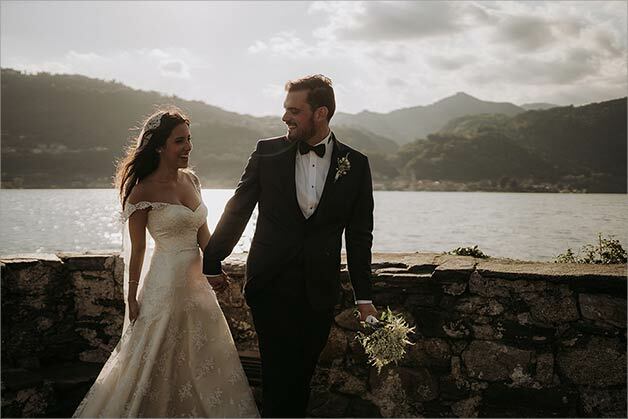 On the same day Valentina and her Team followed Lauren and Adam’s wedding on Lake Orta. 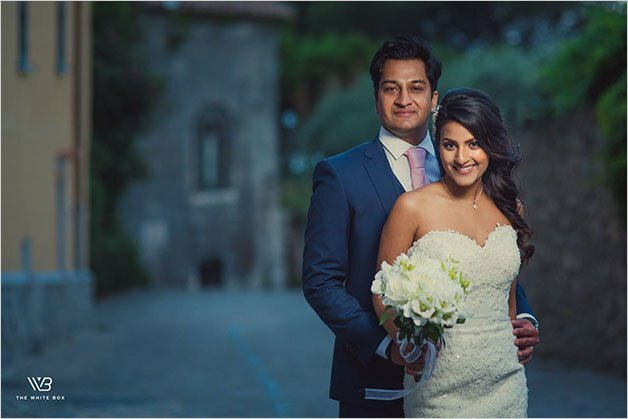 A young couple coming from UK for a happy and fresh destination wedding in Italy! 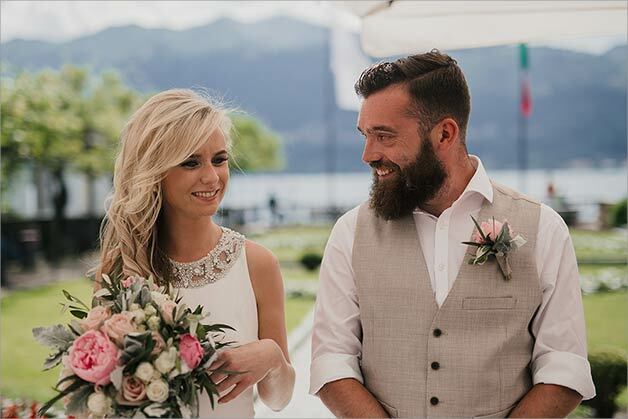 They decided to spend their Italian days on Lake Maggiore but for their wedding day they all moved to Lake Orta. 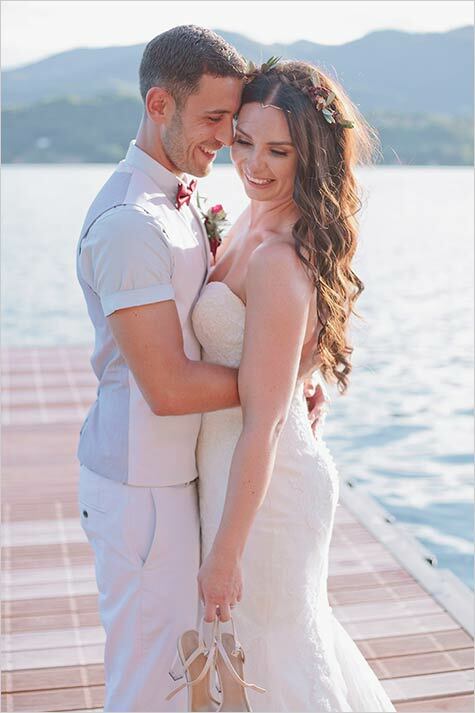 Lauren and Adam were blessed by a wonderful sunny day. 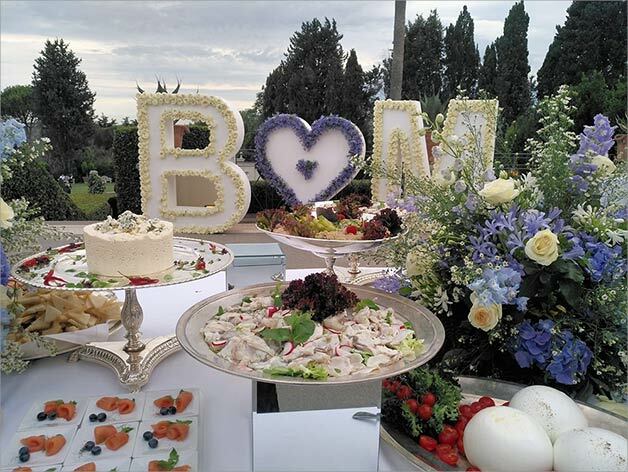 They chose a civil ceremony at Villa Bossi. Lovely Lauren arrived by boat. After the ceremony and a fun toast in main square bride and groom took the chance to have some intimate pictures. After that they reached their guests at Ustaria Ca dal Rat for a great dinner and party to follow! The week end was really busy for Valentina and her Team. The day after she followed a very intimate and romantic elope for a sweet Italian couple coming from Milan. 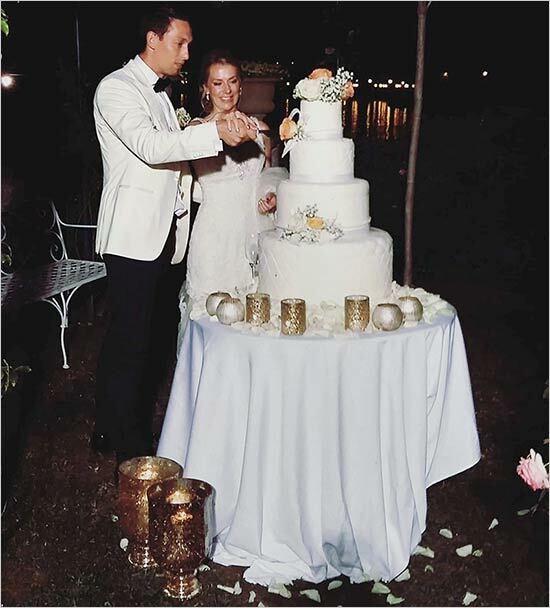 Sara and Paolo tied the knot with a civil ceremony at Villa Bossi. The photos to follow were all taken in the village and on St. Julius Island. Sara wore a very chic prom style wedding dress and a simple small white bridal bouquet that was just ideal for her. 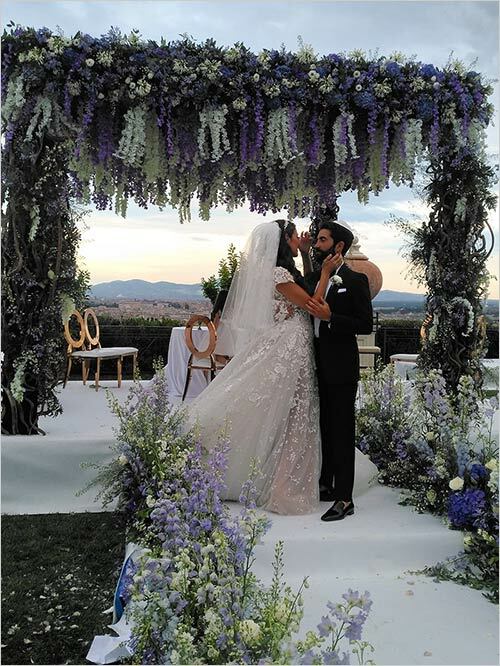 They celebrated their union with a romantic and intimate dinner at Villa Crespi the famous restaurant of Chef Antonino Cannavacciuolo. The first one on Lake Maggiore. 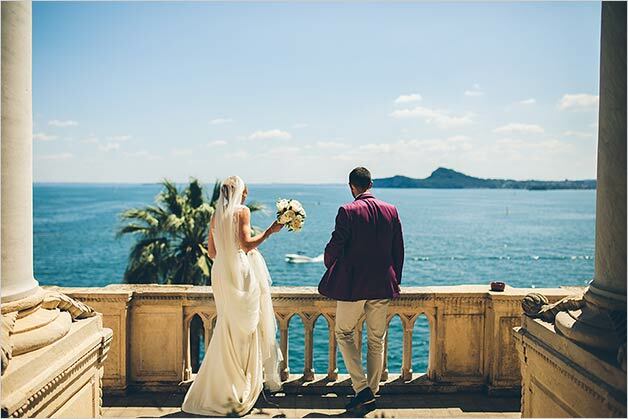 Rebecca and Karl’s tied the knot at Villa Rusconi Clerici with a chic ceremony by the shores. 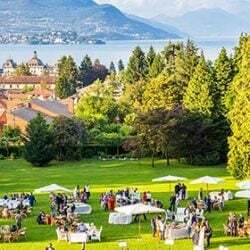 Aperitif and reception to follow was panned at the Villa itself overlooking a stunning view over Lake Maggiore and Borromeo Islands. The party was just perfect with lots of music by a quartet and singer, a dj with sax player then lots of games fun and speeches. Such a perfect day on Lake Maggiore. 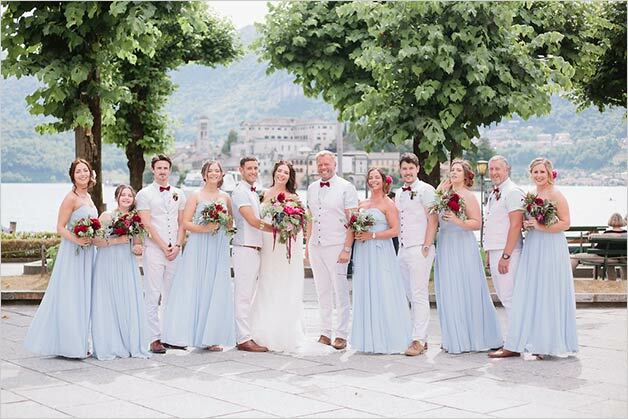 Then Valentina and her team followed Marit and Jan Tore’s Norwegian wedding in Piemonte Countryside. 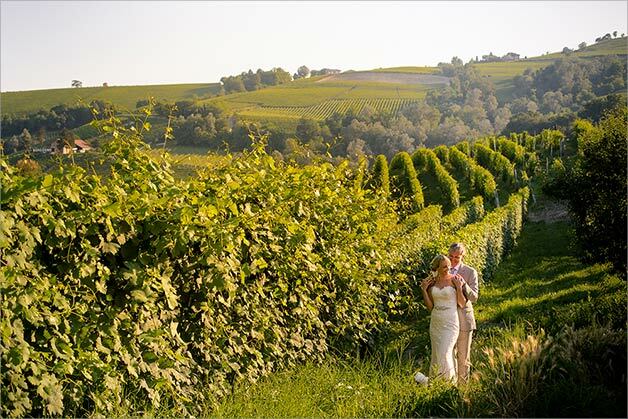 We close our June weddings with a such a different destination: Piemonte Countryside Langhe and its vineyards landscapes. Langhe is famous for its precious wines such as Barolo and Barbaresco. 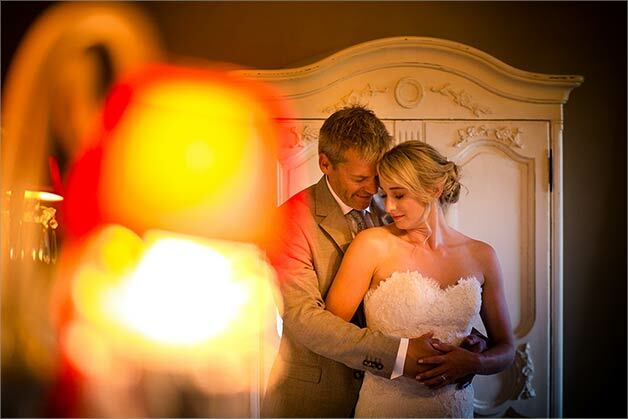 Marit and Jan Tore chose a pretty boutique hotel just in Barolo vines area for their blessing by the vines, amazing photos over the hills and fun reception with lots of fun, speeches and dances to follow. A small but very chic event in an off beaten track country destination with an authentic and fascinating appeal. Once again thanks to all couples who chose us as their planners and coordinators. Thanks to all our colleagues and team, to all professionals, venues and suppliers who always make it happen. 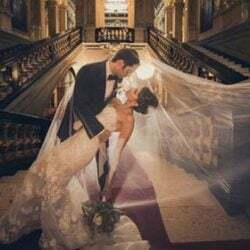 Amazing photos you can see here are kindly provided by photographers who worked with us to give enchanting and dreamy shots in no time! Thanks to all and stay tuned for our weddings in July, we can’t wait to tell you more about all of them!